The Department of Justice (“DOJ”) announced Wednesday that another 51 hospitals have settled with the government to wrap up a Medicare fraud suit filed under the False Claims Act. that 457 hospitals had agreed to pay $250 million to settle the allegations. The DOJ continued its investigation and, on Wednesday said an additional 51 hospitals had been added to the suit. The settlements made with those 51 additional hospitals tally $23 million and, the DOJ said, marks the “final stage” of its far-reaching investigation. In all, more than 500 hospitals have settled in this case. Five hospitals that are part of the Sisters of Charity Leavenworth Health System will pay a total of $1.95 million. None of the settlements included any determinations of liability. 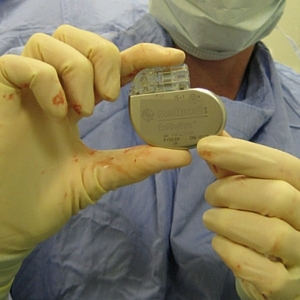 The original allegations in this case center around implantation of implantable cardioverter defibrillators (ICD), an electronic device implanted near the heart and connected to it. The device detects and treats chaotic, life-threatening heart rhythms, called fibrillations, by delivering a shock to the heart, restoring its normal rhythm. Medicare coverage for the device, which costs about $25,000, is governed by a National Coverage Determination (“NCD”), which provides that an ICD generally should not be implanted in a patient who recently suffered a heart attack or recently had heart bypass surgery or angioplasty, the Justice Department said. Under NCD guidelines, such patients require a waiting period of 40 days for a heart attack and 90 days for bypass/angioplasty before implantation of an ICD. The medical purpose of a waiting period is to give the heart an opportunity to improve function on its own to the point that an ICD may not be necessary. The NCD expressly prohibits implantation of ICDs during these waiting periods, with limited exceptions, and Medicare won’t pay for the devices if these rules are violated. The DOJ alleged that from 2003 to 2010, doctors at each of the settling hospitals implanted ICDs during the periods prohibited by the NCD. The whistleblowers in this case, Leatrice Ford Richards, a cardiac nurse and consultant, and Thomas Schuhmann, a healthcare reimbursement consultant, originally filed their lawsuit in 2008. They made their allegations of Medicare fraud after reviewing codes submitted by hospitals to Medicare. The whistleblowers have already received more than $38 million from the earlier round of settlements. The latest settlement will add over $3.5 million to that total. The False Claims Act allows anyone to sue on behalf of the government any company, person, or organization that falsely bills to receive government funds. Whistleblowers in these cases may be entitled to a share of any funds recovered. If you are aware of fraud or misconduct, you should contact our whistleblower attorneys team by calling our 24-hour hotline 801-323-5000 or email us here.